This "glowing trail" is starting lol hanging in the air. 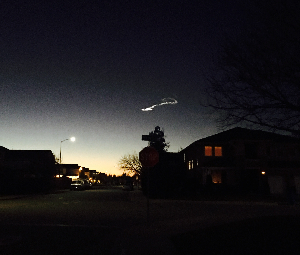 I first thought this was a local rocket launch that had been scheduled here in CA near San lLuis Obispo, but I realized that was impossible due to 1. Direction and 2. The launch had been postponed due to a hydrogen leak. 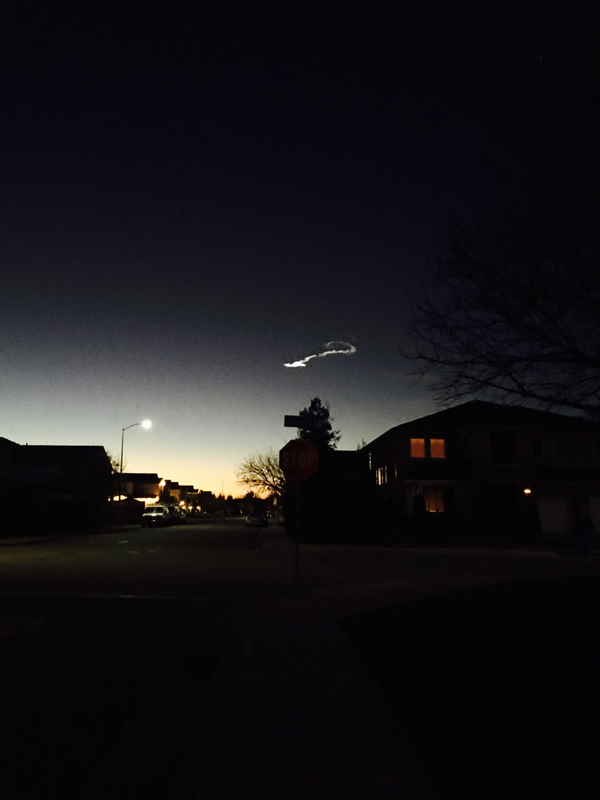 Glowing, snake-like left to right trail that seemed to come forward and down, southwest to southeast.